Wow! 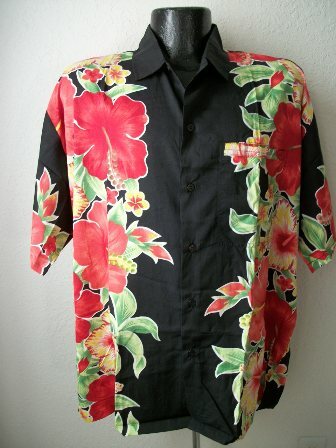 This new line of shirts features a solid background with bright flowers in different sizes/patterns. Almost every pattern is unique, so grab one now while they're still available. We love these new shirts! True tropical flavor in every one.